Liz Gould is a Senior Principal Scientist at Healthy Land and Water who specialises in nature conservation. 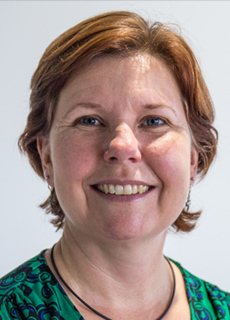 Liz works within the Capacity Building and Knowledge Brokering team and has almost 30 years of experience in natural resource policy and practice. Throughout her lengthy career, Liz has worked within state and local governments and is one of Healthy Land and Water’s longest-serving employees. Liz is skilled in stakeholder engagement and project delivery and is an expert at using her networks and knowledge to leverage additional resources from corporate, government and philanthropic partners. Liz is deeply passionate about conservation and has a proven track record of delivering complex, multi-year and cross-regional programs and projects that help preserve South East Queensland’s environment.